this is a 9' round table made from wood iron and stone. 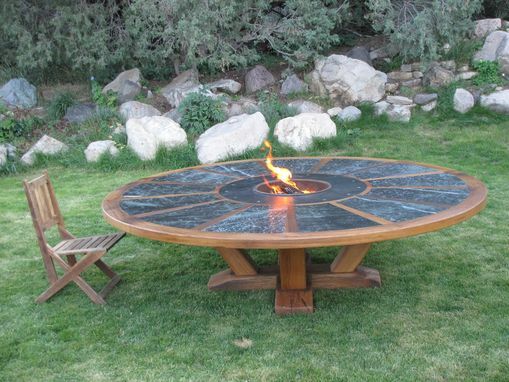 it is designed after king arthurs knights of the round table. it has 13 triangles with in it. It is a masterpiece and fun to sit at and grill your own shrimp at the center fire..